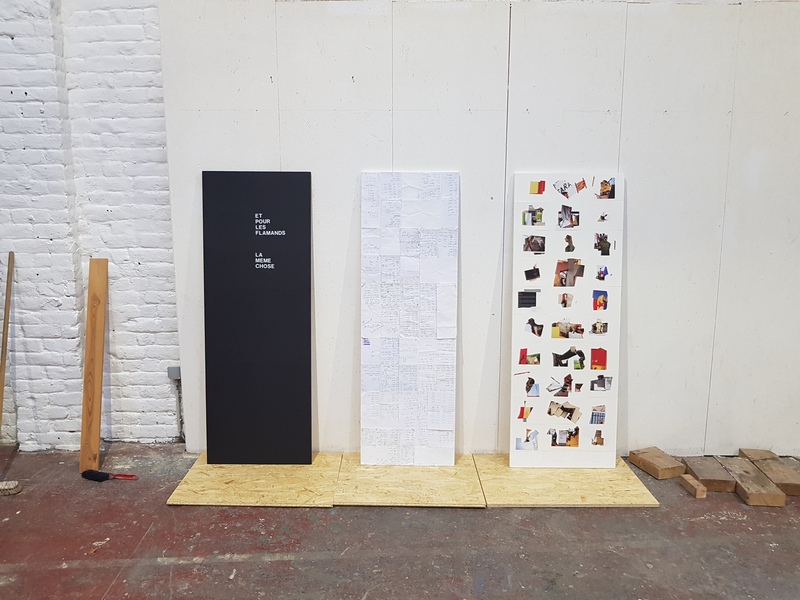 Brussels-North is my Intervention for the COUP/E/E Collage expo (12/19 May) on railway platform 1 of the train station Brussels-North, Belgium. 23 other artists expose on the other platforms. My intervention is a tryptich: 3 works on wood placed behind the glass of a telephone box. – black a4 papers with the text: Et Pour Les Flamands La Meme Chose. – 30 paper collages made with pictures of the photobook ‘Blood And Honey/a Balkan war journal/ photography by Ron Haviv. – white a4 study papers showing hand written Dutch to Arabic translations. This entry was posted in collages on May 14, 2018 by Admin.